Describe your measurement problem – we solve it together! For more than 20 years, we – DIAS Infrared GmbH – are manufacturer and specialist for fixed and portable infrared cameras for non-contact temperature measurement in industry, research and development. You encounter a team of first-class engineers, scientists and technicians with longtime experience in the field of infrared temperature measurement in our headquarter in Dresden (Germany). 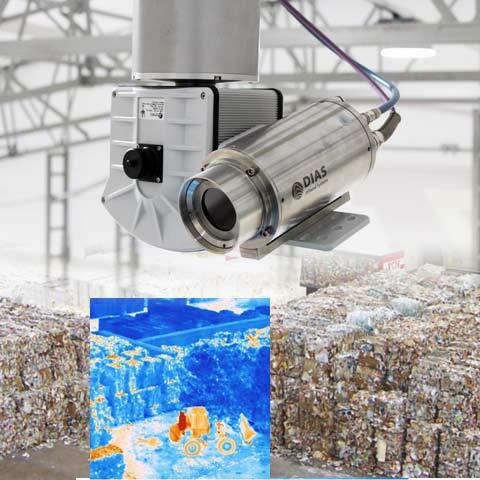 We develop and manufacture our infrared camera series in Germany. A good counseling to our thermal imaging cameras as well as an excellent customer service before and after the purchase have top priority. 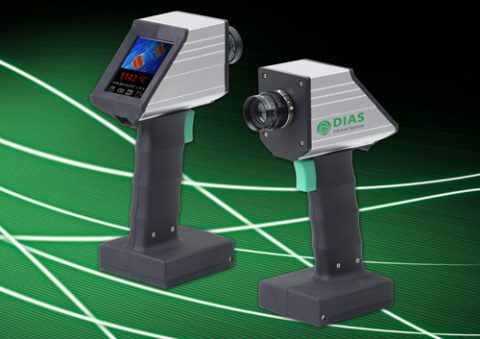 Trust DIAS Infrared – Trust the manufacturer with the worldwide largest product range of fixed infrared cameras and infrared measurement devices. Find out about the whole scope of our PYROVIEW compact+ infrared cameras! 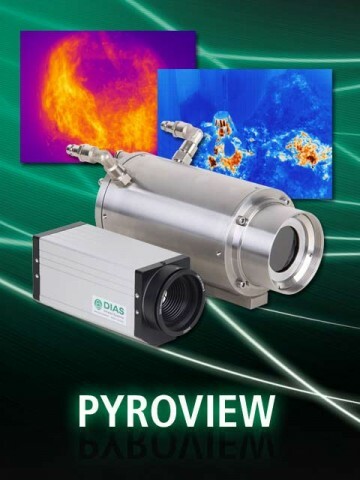 Learn more about our PYROVIEW protection infrared cameras! 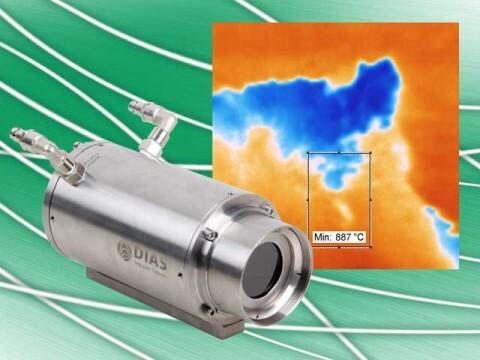 For thermography application like building inspection, maintenance, energy production or also industry thermography portable infrared cameras in the standard spectral range from 8 µm to 14 µm are suitable. 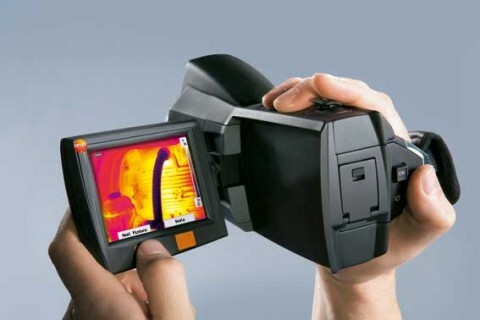 Together with our partner Testo we provide a selection of thermal imaging cameras. 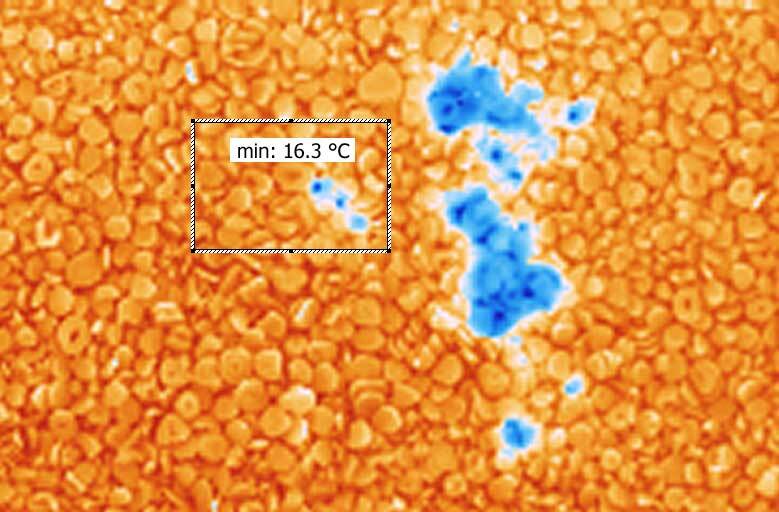 In particular for process control in metallurgy serve our portable infrared cameras PYROVIEW portable for Temperaturemessungen in the high temperature range of 600 °C to 3000 °C. Learn more about our portable infrared cameras. 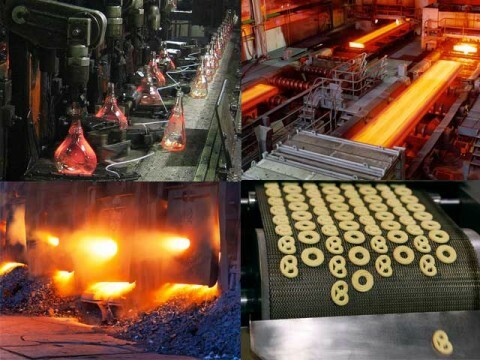 Read in our application reports information about the non-contact measurement of temperatures on many different materials like steel, iron and glass in different technological processes (forging, hardening, welding, casting, forming and more). What is an infrared camera? Thermal image of polar bear Knut. 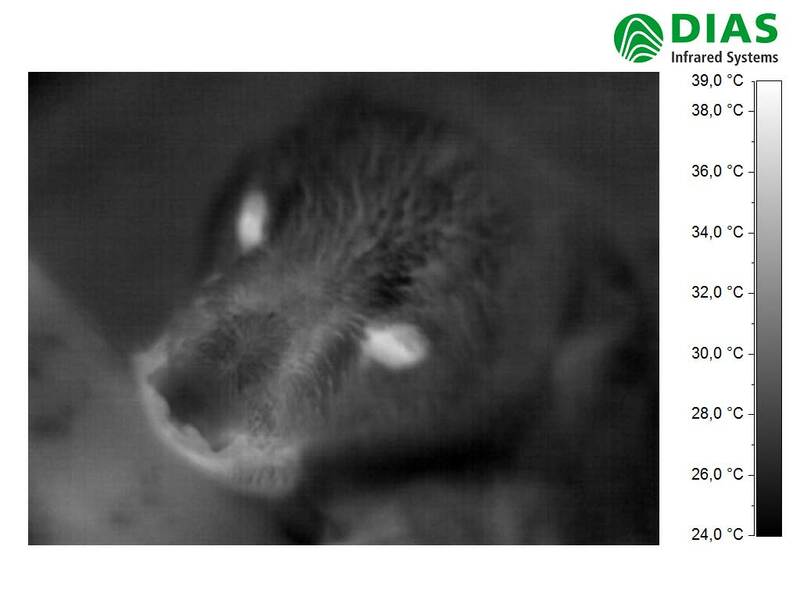 Recorded with a DIAS infrared camera in the zoo of Berlin (Germany). Dark areas stand for cold temperatures, bright regions for the warmest areas. Thermal image of an industry thermography application: Combustion process in a combustion chamber. An infrared camera is a temperature measurement device that measures the surface temperature of an object without contact. They are many designations for the term “infrared camera”: thermography camera, thermo camera, forward looking device and many more. All terms describe an imaging device that receives infrared radiation. 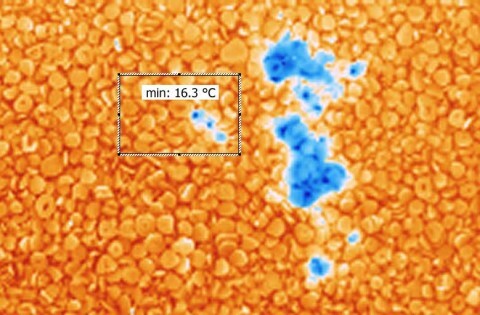 Infrared cameras use usually the spectral ranges between 8 µm and 14 µm (long-wave infrared range LWIR) and 3 µm to 5 µm (mid-wave infrared range MWIR) because of the self-radiation of the measurement objects in accordance with PLANCKs radiation law, the so-called atmospheric windows and the available infrared detectors. DIAS Infrared offers next to these standard wavelength ranges also the spectral ranges 1.4 µm to 1.6 µm as well as 0.8 µm to 1.1 µm. These wavelength ranges are suitable for non-contact temperature measurement on glass, metals, graphite and ceramics in the high-temperature range up to 3000 °C. And how does an infrared camera work? In principle, infrared cameras are built like an ordinary optoelectronic digital camera. They have an optics, a radiation sensor and an electronic signal processing with data transmission and/or image display. 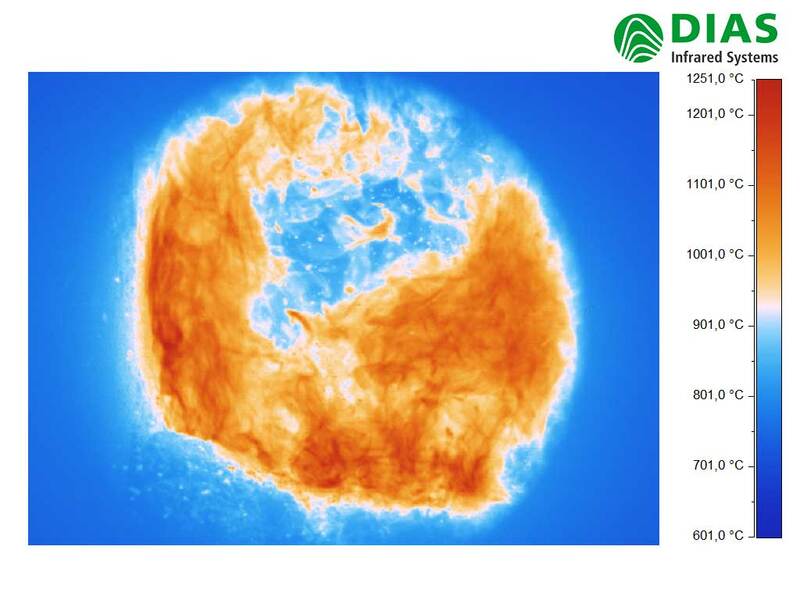 The sensor and the optics of infrared cameras have to be applicable in the requested infrared wavelength range (for example LWIR, MWIR, NWIR). The thermal images that can be displayed via thermography software on a computer or on a display of a portable camera are available as gray scales as intensity/temperature information. Though shades of gray can be differed hardly by the human eye infrared images are displayed often in so-called pseudo-colors. 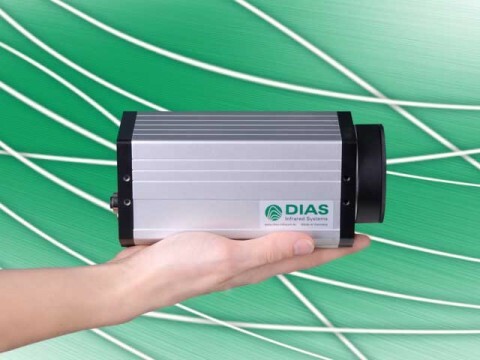 DIAS uses as infrared sensors for their infrared cameras modern uncooled 2D array detectors on the basis of micro bolometers (LWIR and MWIR) as well as Si and InGaAs photodiodes (near infrared).